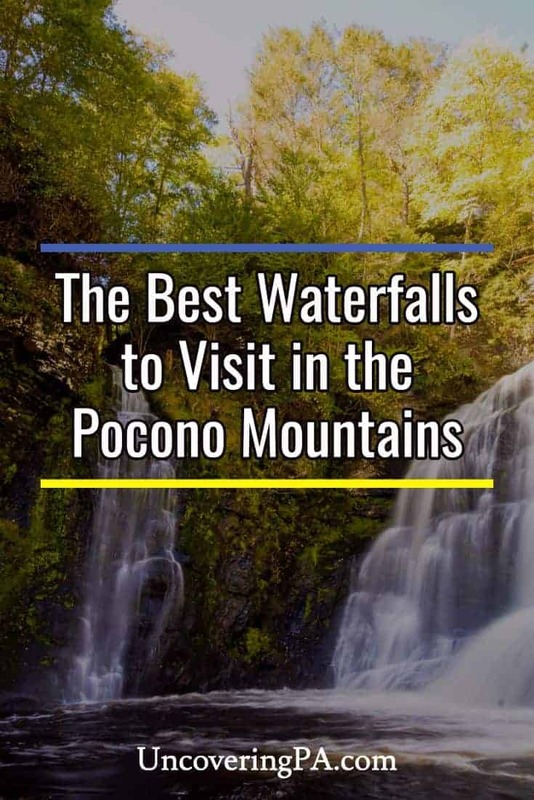 Pennsylvania is filled with many amazing waterfalls that are ripe for exploration, and there is almost nowhere with a higher concentration of great waterfalls than the Pocono Mountains. Some of these waterfalls in the Poconos are located along well-established trails, while others are hidden away in relative obscurity. 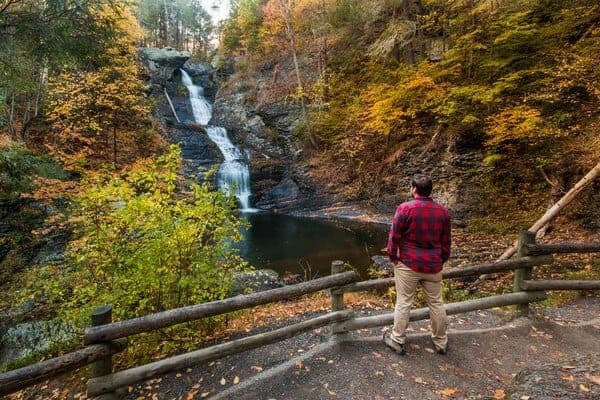 Unlike Bushkill Falls which charges an admission fee, the 19 waterfalls listed below are completely free and just waiting for you to explore them. 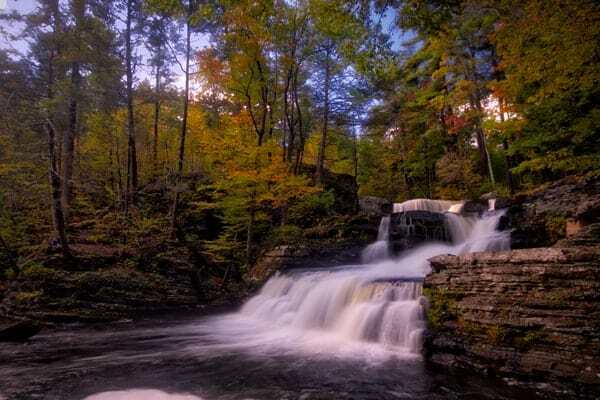 While many of these are located within the Delaware Water Gap National Recreation Area, there are waterfalls listed below that are scattered throughout all corners of the Pocono Mountains. 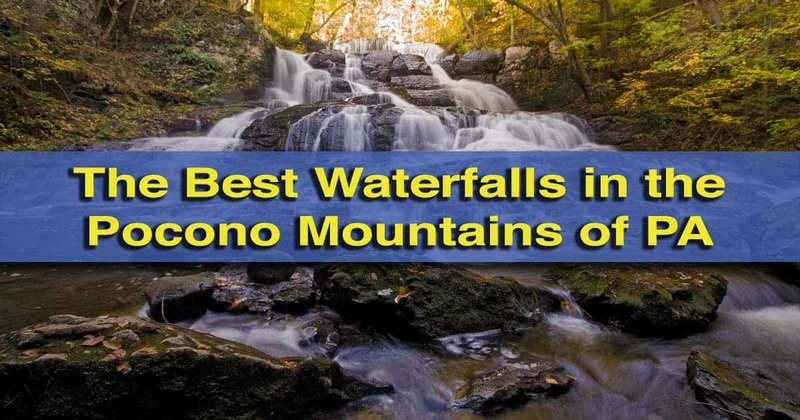 Here are 19 of my favorite free waterfalls in the Poconos. Raymondskill Falls is the tallest waterfall in Pennsylvania. At 150 feet in height, Raymondskill Falls is the tallest waterfall in Pennsylvania, and one of my favorite waterfalls in the Poconos. The falls has three different drops, with a pool separating the top two drops from the bottom drop. While getting a good look at the bottom drop can be a challenge, the National Park Service has created two viewing areas, one above the falls and one in the middle, that offer amazing views of this great waterfall. Even better, there are a handful of beautiful waterfalls that are hidden just upstream, but are easy to reach if you know where to look. Check out our article on Raymondskill Falls to find out more about visiting this amazing site. 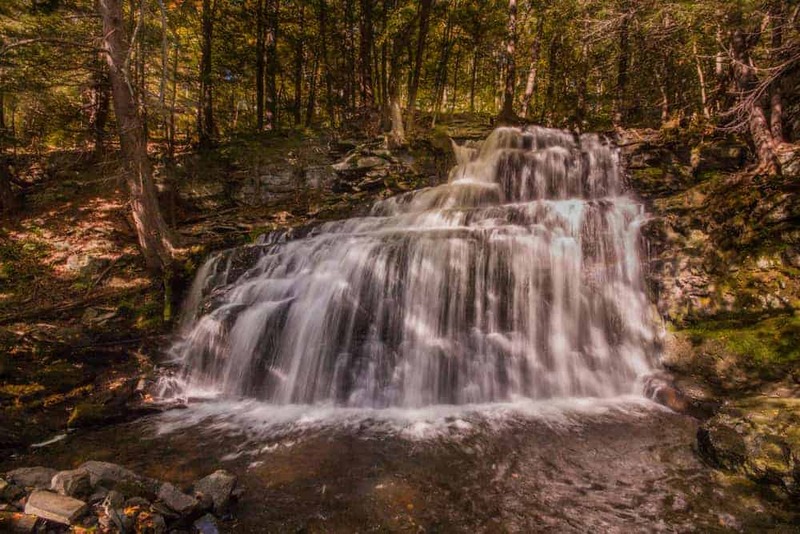 Glen Onoko is home to three beautiful waterfalls. Glen Onoko sits just outside of Jim Thorpe, Pennsylvania, and is home to three beautiful waterfalls. While this is one of the most challenging and potentially dangerous waterfall hikes in the Poconos, it is also one of the most beautiful. A short, but steep hike takes visitors through Glen Onoko past Chameleon Falls, Glen Onoko Falls, and Cave Falls before reaching the top of the gorge. If you want to see some of the most beautiful waterfalls in Pennsylvania and are looking for a challenging hike, don’t miss Glen Onoko. For more information, check out our article and video about hiking at Glen Onoko. Indian Ladders Falls is one of three waterfalls on Hornbecks Creek. The waterfalls of Hornbecks Creek might be the best hidden gem in the Poconos. The lightly trafficked trail along this creek is home to three beautiful waterfalls, as well as a number of scenic cascades and a deep gorge. To be honest, I’d go so far as to say that Indian Ladder Falls, the middle waterfall on the creek, might be in my top 10 favorite waterfalls in Pennsylvania. The fact that you’ll likely have this waterfall to yourself even on days when others are packed make it even more special. For more information, check out my article on hiking to the waterfalls on Hornbecks Creek. The beautiful Dingmans Falls is the second-tallest waterfall in Pennsylvania. The Delaware Water Gap National Recreation Area is not just home to the tallest waterfall in Pennsylvania; it’s also home to the second-tallest waterfall in the state. Dingmans Falls is located at the end of a well-maintained boardwalk and falls 130 feet into a large pool below. 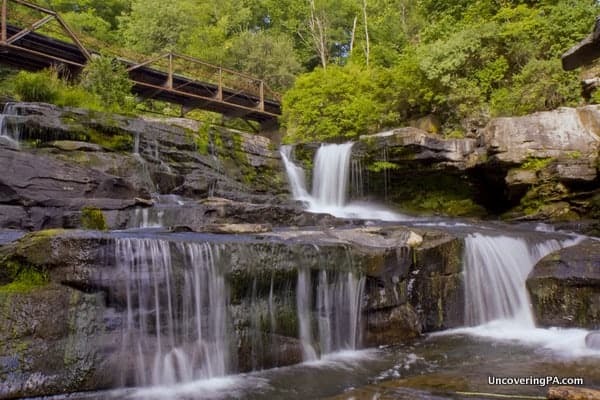 Along the walk to Dingmans Falls, visitors can also see Silver Thread Falls, one of the most unique waterfalls in Pennsylvania. For more information on visiting this great waterfall, check out our piece on Dingmans Falls. Factory Falls is one of three beautiful waterfalls in the George W. Childs Park. Located on the same creek, but upstream of Dingmans Falls is George W. Childs Park. This park is home to three more impressive Delaware Water Gap waterfalls: Factory Falls, Fulmer Falls, and Deer Leap Falls. 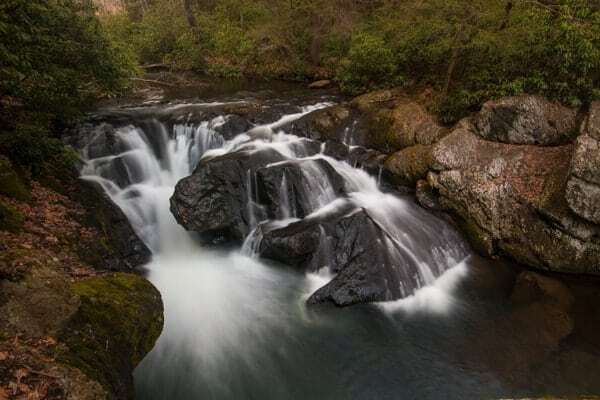 These three waterfalls are located along a well-maintained boardwalk built by the National Park Service that clings to the gorge above Dingmans Creek. 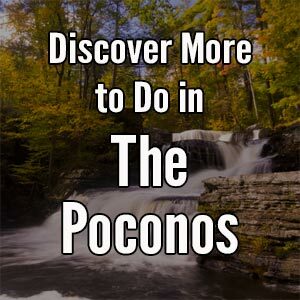 If you want to do some great hiking in the Poconos, but want to do so on very well-maintained trails, this might be the best hike in the area. 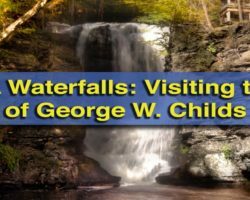 For more information on visiting these three beautiful waterfalls, check out our article on George W. Childs Park. Tanners Falls is located in Wayne County north of Honesdale, making it the northernmost waterfall on this list. However, for those that love beautiful and unique waterfalls, this one is well worth the trek. Located on state game lands below an old, metal bridge, Tanners Falls drops over a series of small ledges. The setting with the bridge in the background makes for a very unique view. Even better, there are ruins of old tanneries located in the woods next to the falls. Find out more about visiting Tanners Falls here. Hawk Falls in Hickory Run State Park is another great waterfall in the western Pocono Mountains. Located down a half-mile-long trail in the southeastern corner of the park, Hawk Falls is a magical spot that is definitely worth taking the time to enjoy. It’s also worthwhile to take a bit of time to explore this beautiful park. 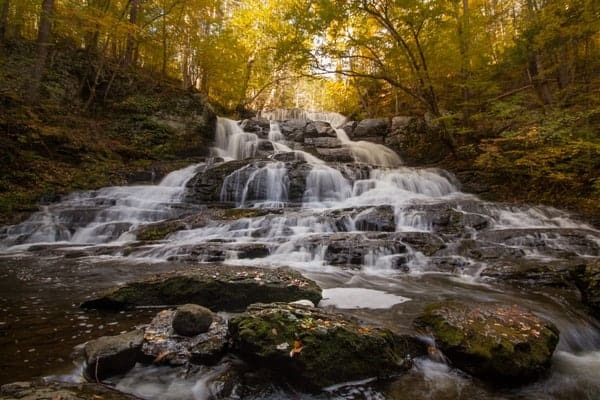 While Hawk Falls is the only natural waterfall in Hickory Run State Park, there are several other great man-made waterfalls in what is one of the most beautiful state parks in PA. 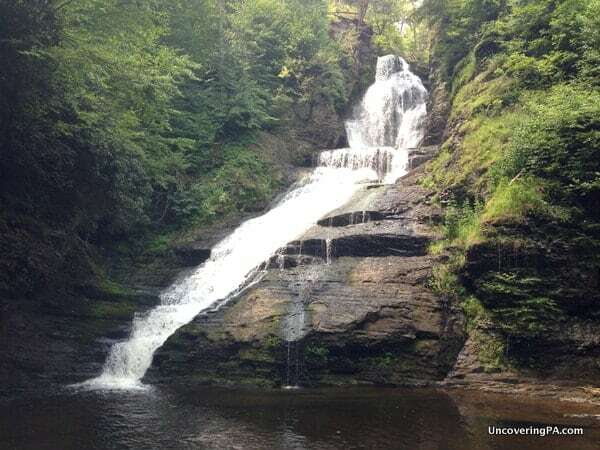 It should be noted that while this is a popular Pocono waterfall for swimming, swimming is not allowed at the waterfall. For more information, check out our article on hiking to Hawk Falls. Shohola Falls might be the most impressive waterfall in the Poconos. Shohola Falls might be the most powerful and impressive of all the waterfalls in the Poconos. Located on state game lands west of Milford, PA, this waterfall is located just below the dam for Shohola Lake. The falls are approximately 50 feet in height and 75 feet wide, making for a massive waterfall that should be on every waterfall lovers’ bucket list. There are vantage points along both sides of the creek, as well as a small, but very slippery ledge that offers great views of the waterfall from straight on. 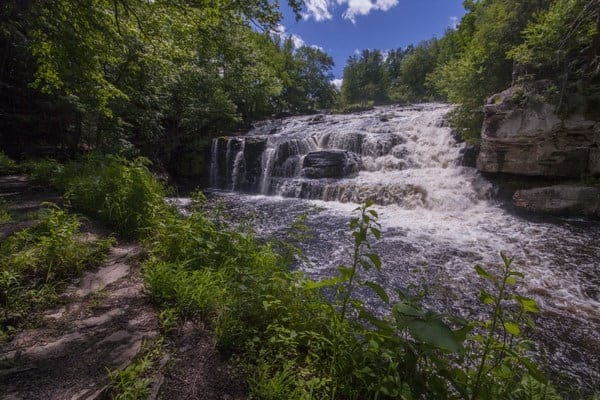 For more information about visiting Shohola Falls, check out our article on this impressive waterfall. Savantine Falls is one of two waterfalls located near each other in the Delaware State Forest. Sawkill Falls and Savantine Falls are both hidden just off Route 6 in the Delaware State Forest. Sadly, there are no trails to these waterfalls. However, if you know where to look and don’t mind bushwhacking and getting your feet wet, they aren’t especially difficult to find. These two waterfalls are located just a few hundred yards apart, though the rough terrain will make it feel a bit further than that. Still, it’s hard to find many places were you can see two waterfalls this amazing so close together. For more information, check out this piece about finding these two waterfalls. Wild Creek Falls is a small, but very beautiful waterfall located in Carbon County’s Beltzville State Park. 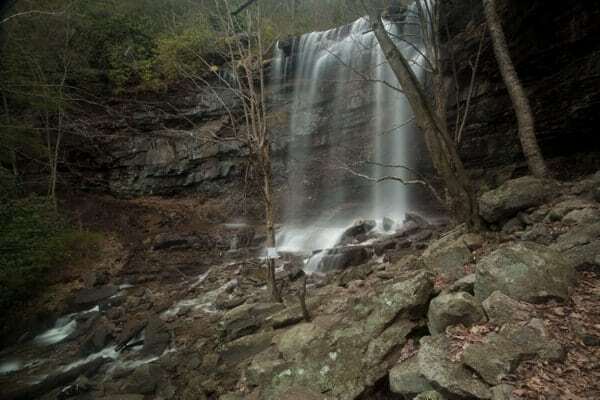 Located along Wild Creek a few hundred yards below Wild Creek Lake, this waterfall offers a peaceful retreat in this great state park. The trail to Wild Creek Falls winds a short distance through the park before crossing the creek below the falls and heading upstream to this beautiful waterfall. 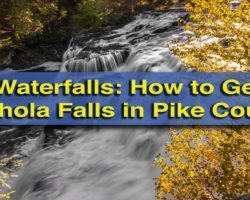 For more information about visiting this great waterfall in the Poconos, check out our article on Wild Creek Falls in Beltzville State Park. 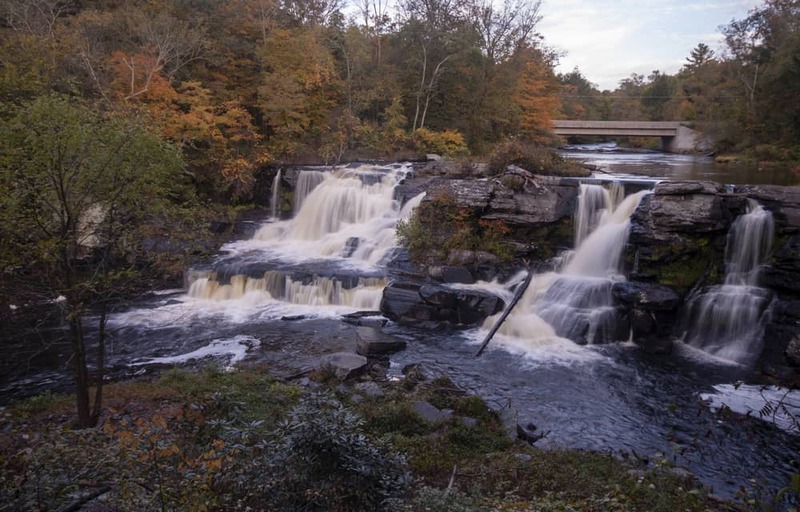 Resica Falls is one of the easiest-to-reach waterfalls in the Poconos. Resica Falls is located along Bushkill Creek north of Stroudsburg. However, while it might not be as well known, this waterfall is incredibly beautiful and well-worth visiting. The falls are adjacent to the Resica Falls Scout Reservation, but visitors are allowed to park in a small parking lot at the camp entrance and walk to the falls. A stone overlook gives a great view of this stunning, overlooked waterfall. For more information about visiting, check out our full article on how to get to Resica Falls. 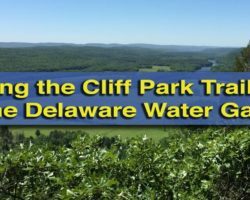 Want to uncover even more waterfalls in PA? 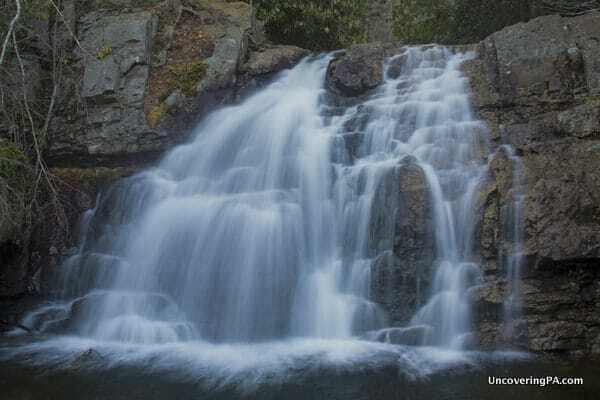 Check out our Pennsylvania Waterfalls page. 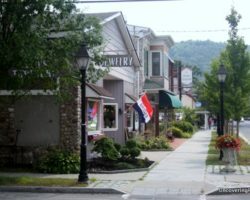 Is Milford Worth Visiting When Traveling in the Poconos? Would any of these falls be possible to access with a walker? Dingmans Falls is along a boardwalk, but it’s probably half a mile to the waterfall. Silver Thread Falls, which is along the same boardwalk, certainly would be. You could probably see Resica Falls from the side with a walker. The path to the first waterfall at George Childs Park is supposed to be handicap accessible, but it would be a bit of a walk. Hope that helps. be able to see as many of these falls as possible in one trip? You do such a great job. There is a really beautiful falls in Honesdale just behind the closed tobacco store on route 6. Does it have a name? I’ve only ever heard it called Honesdale Falls. No idea if there is an official name. Since you can’t get super close to it because of private property, I opted not to include it in this list. Bushkill Falls is actually located on the Little Bushkill Creek, an entirely different creek than the Bushkill Creek where Resica Falls are located.